No one else has developed a more effective formula. 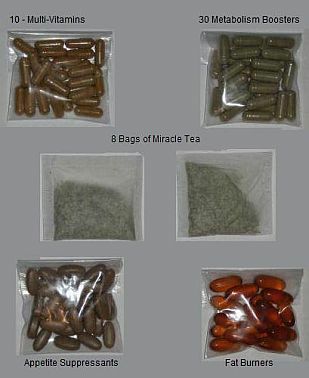 YouTHIN Plan™ contains 8 tea bags and 120 pills. One month supply $79.95. It comes with the original multi-vitamin. YouTHIN Plan Ultra™ contains 8 tea bags and 180 pills. One month supply $89.95. Ultra comes with the original multi-vitamin. YouTHIN NV™ contains 8 tea bags and 180 pills. One month supply $89.95. NV (no vitamins).